India with Kids: Train travel and thoughts on Indian transport in general. The next morning, we took a brief hike on the beach before leaving for the train station. Indian railway stations are the focal point in any town or city across the country and the system carries many millions of people every day. Now, we had travelled quite extensively on trains during our first Indian trip (sans kids). Then, our train experiences had not been an unqualified success. We had found ourselves in some cities with train tickets for trains that didn’t exist and when we had thought we were supposed to be travelling on express trains, we in fact ended up travelling on locals. I will never forget being on a local between Patna and Varanasi, where a trip that was supposed to last around five airconditioned hours ended up lasting about twelve excruciatingly uncomfortable hours, squeezed into a compartment that carried many more people than it was supposed to. I have vivid memories of the emergency cord being pulled on a number of occasions in the middle of Bihar state, the train grinding to a halt, and seeing someone jumping off and running away into the fields with the conductor yelling angrily after them. We had been hopelessly prepared – not taking enough snacks and being very hesitant to eat anything that was available on the train itself or from village vendors who ran up to the train during the trip. We did arrive eventually. We had also travelled on overnight trains – but not in first class, so that the “door” to our “compartment” which we shared with others was just a curtain and we had needed to chain our luggage to the beds. This time round we had the kids and those memories were at the forefront of our minds. We were travelling from Kannur down to Cochin, about a four hour daytime trip. We needn’t have worried. Firstly, Indian Rail is now computerized – our train was there, our seats were available and we were in the a/c class which was the best on the train. We had stocked up on snacks and water and the kids were very excited to be going on a train trip. Raja not only took us to station – he actually put us on the train in our seats! He would be driving down to Cochin – a much slower route than the train and would be getting there late in the night. The train was fine – not a memory maker at all, which was a good thing. The seats were pretty comfortable, forward facing like airplane seats, the people around us friendly and the kids played with other kids in the compartment and ran up and down for a few hours before tiring out and falling asleep. The compartment itself, while not anywhere near to those in say Europe or Japan, was still a kind of sanctuary, both from the crowds on the platforms in the stations we passed, and in the cheaper compartments on the train itself. Vendors moved down the aisles from time to time with snacks and drinks and we really shouldn’t have worried about provisions. The scenery was pretty, but after a while the kids were bored with that – for them, it was an experience much like going on a plane. As for the restrooms – there was a choice of Indian and Western – neither great, and of course it was inevitable that three year old Eitan would need to go more than once – the sooner forgotten the better, but not really different from some other options we had to deal with on our trip. Just take Purell – it’s about the best thing you can do when travelling anywhere. It seems clear to me that in today’s India, people travel by plane if they can afford it, and for the huge middle class plane travel is far more affordable now than ever with a large number of budget airlines covering the whole country. If you are travelling with kids over vast distances, that is the way to go. But of course, air travel doesn’t reach everywhere, and the trains almost do, and they are a very good second choice. Just don’t expect the kids to be fascinated every minute – they will get bored quite quickly. For those with a budget that allows it, a car and driver is the most flexible by far. 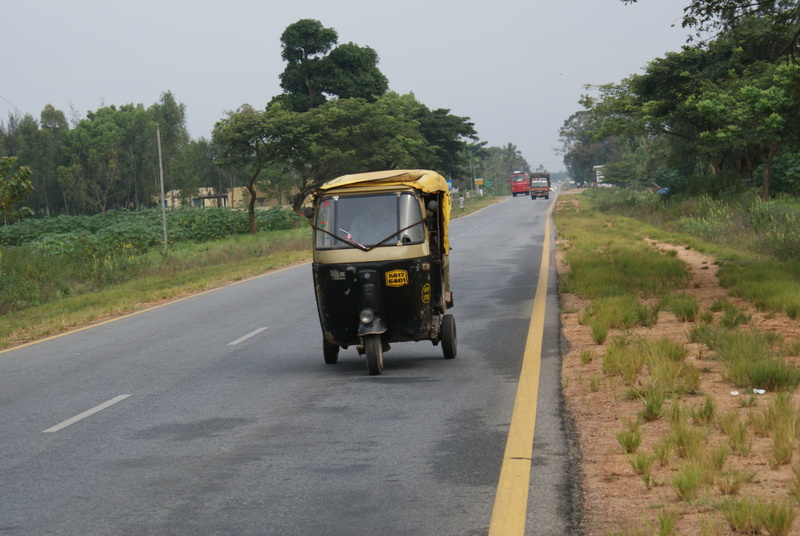 I am a fan of bus travel in many countries, but I would veer away from that in India! Make the bus a last resort. I had been concerned about how we were going to find our ride at the station, Indian stations alway being hugely congested, but when we reached Cochin, uneventfully and on schedule, we were met right at the door to our compartment by Raja’s colleagues – he had given them our seat numbers and they knew exactly where to find us, and took us to the waiting car. PS These days I’m planning great family trips to India. For more info on how I can help your family, visit here. I love your blog. I found it on the Thorn Tree forum. You may have inspired me to take the kids to India! That Raja sounds like a fantastic guy. So glad to hear it Rosemary. I am a huge believer in taking kids to faraway places and foreign cultures – I really think its a great way to educate them about the world we live in. And, having kids shouldn’t be a reason to deny one wanderlust. Feel free to contact me for any info or advice!